Usually when we talk about the Indian ministers, we relate them with lazy and corrupt politicians. 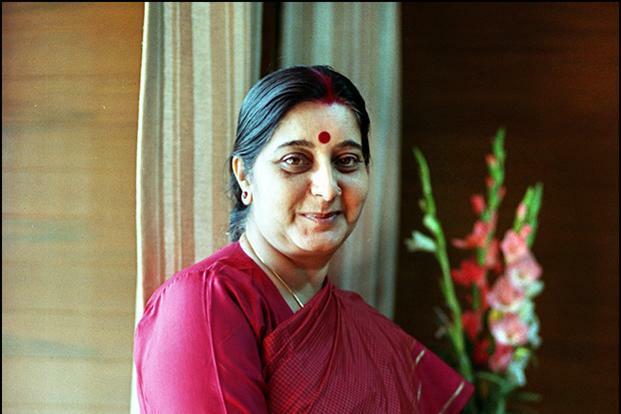 But Sushma Swaraj, Minister of External Affairs of India is setting up new standards by helping the Indian Nationals, who are in trouble at foreign land even at 3:00 Am in the morning. Usually Ministers have to go their office at early morning around 9 o’clock and sometimes they have to visit for Parliament proceedings also. Their day’s work ends with listening to grievances at the end of the day around 7’o clock. Listening the opposition claims and answering them is a part of all this. Its not a matter of chance that Foreign Minister, Sushma Swaraj have replied someone on twitter at midnight. As United States of America have easily accused India for not giving permission to an organisation named USCIRF aka United States commission on International religious freedom, they should also notice the efforts of minister to evacuate a woman and a Kashmiri man. We have lost two Indian sailors Mahesh Kumar Rajagopal and Deepu Lathika Mohan due to fire in a vessel Al Sadaa. My condolences. I have spoken to Sister Sally – an Indian national from Kerala. She is safe and will be evacuated today itself. Sister Sally has been evacuated from Yemen. Murtaza Jaffar: Ma’am a kashmiri medical student has been attacked by local goons in Russia, he is in coma. Lost his money n documents too. Sushma Swaraj: Please give me his name, place and contact number in Russia. We will reach him. Murtaza Jaffar: Thank you for your quick response ma’m, appreciate. His name is Yasir and is currently admitted in Kazan Trauma Centre Kazan. Sushma Swaraj: I have spoken to the Indian Ambassador in Russia. He will contact the Trauma Centre. Please give some contact no there. Murtaza: Unfortunately I do not have it. Will share the moment I get it. This is not the first time, she have helped 100s of Indians from different countries at different times. Truly a minister who knows her job. Previous articleGame of Thrones Season 6 Trailer Public Review: GoT Season 6 New Official Trailer out!